What effect do sanctions & conditionality have on disabled people? Guest editor Ben Baumberg Geiger introduces the new Journal of Poverty and Social Justice special issue, focusing on disability and conditional social security benefits. “There are times that policy runs ahead of academic knowledge. Indeed, this is often the case, for policies must first be introduced before social scientists can study them – and if policy makers were restricted to policies that had been tried and tested, then policy innovation would be impossible. Yet such innovation can come with considerable risks, as new policies can be introduced and widely imitated, only for social scientists – after some delay – to show that such policies are difficult to implement, can fail to achieve some of their aims, and may even have unforeseen and harmful consequences. In a new special issue of the Journal of Poverty and Social Justice, we focus on one area where this might be happening: conditionality for sick and disabled social security claimants. While, historically, disabled benefit claimants were largely exempt from seeking work, high-income countries from Australia to Norway have increasingly required disabled claimants to take steps towards finding work, under the threat of financial penalties. The conventional wisdom repeated by bodies such as the OECD is that this is a necessary step towards reducing high benefit claim rates, and, moreover, helps improve the finances, health, and social inclusion of disabled people themselves. However, there are several challenges to this story. By any principle of justice, claimants cannot reasonably be required to perform actions that they are incapable of doing, but it is difficult for benefits agencies to know exactly what someone can or can’t do. If they get this wrong, conditionality for disabled people can create injustices, and inflict considerable stress on disabled people. Moreover, conditionality may move disabled people further away from work, by both undermining their relationship with their employment support caseworker, and making them less willing to take risks in performing tasks that they are not sure they are capable of doing. Two conflicting stories – but what does the evidence say? Until now, there has been very little published research trying to establish which of these accounts is correct. This is the aim of the special issue, which includes four research papers looking at experiences from around the world. 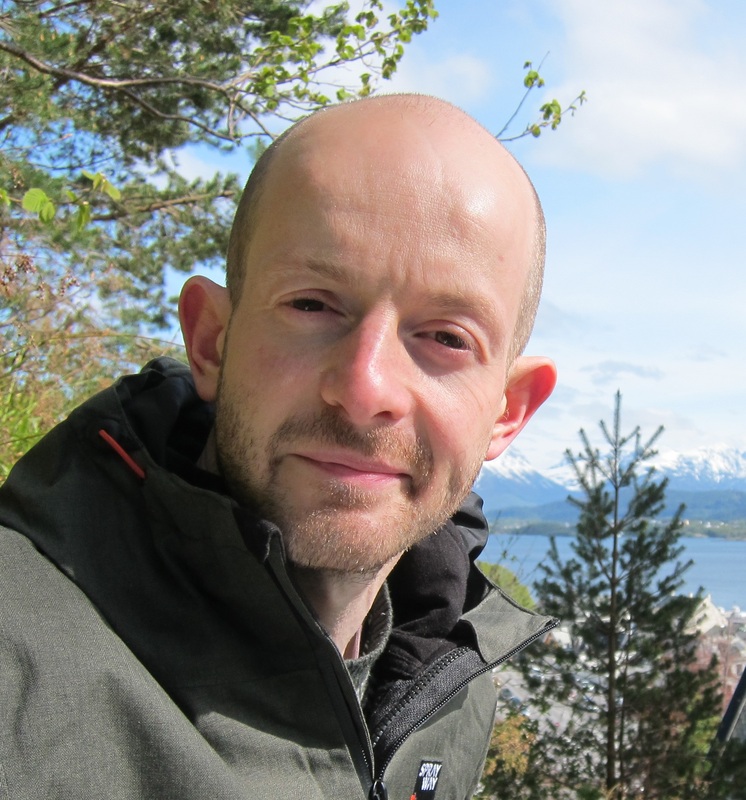 In the UK, Aaron Reeves looks at on the impacts of conditionality for disabled people claiming unemployment benefit. In Denmark and Sweden, Sara Hultqvist & Iben Nørup look at the different forms of conditionality implemented for young disability benefit claimants. In Germany, Patrizia Aurich-Beerheide & Martin Brussig look at the (failed) implementation of conditionality for disabled people in Germany. And my own paper (see below) brings together these papers with a wider review of evidence and practice, to come to some initial conclusions about what we know so far. The special issue also includes four further, slightly more unusual papers about the UK, perhaps the country where these issues have become most hotly contested. Indeed, conditionality for disabled people has been the subject of an award-winning film (I, Daniel Blake) and an award-winning play (Wish List), both of which are reviewed in the special issue (by Alison Wilde and Kim Allen respectively). Jed Meers covers a recent Supreme Court judgement about the ‘bedroom tax’ in the Supreme Court. And we felt it was important to convey the lived experience of conditionality, so a team from the Welfare Conditionality project describe two real-life stories of people who took part in their research. 1. Requirements for disability benefit claimants are common, but sanctioning is rare (particularly outside of the UK and Australia). 2. Assessment and support are critical in making conditionality work on the ground, and can be combined into ‘passive’, ‘supportive’, ‘demanding’ or ‘compliance-based’ systems. 3. The limited but robust existing evidence suggests that sanctioning may have zero or even negative impacts on work-related outcomes for disabled people. 4. Individual case studies in ‘compliance-based’ systems suggest that sanctioning in the absence of other support can lead to destitution, and that conditionality can harm mental health. While we need to know more, it is already clear that we cannot assume that conditionality for disabled benefit claimants is easy to implement, nor that it will have purely positive consequences. Policy may have run ahead, but research is now starting to catch up. It is crucial for the wellbeing of disabled people around the world that deeper knowledge and more informed policy go hand-in-hand from this point. This is an edited version of the (free) introduction to the special issue, and is simultaneously being posted on the Policy Press blog and my own Rethinking Incapacity blog. The full special issue can be accessed here. 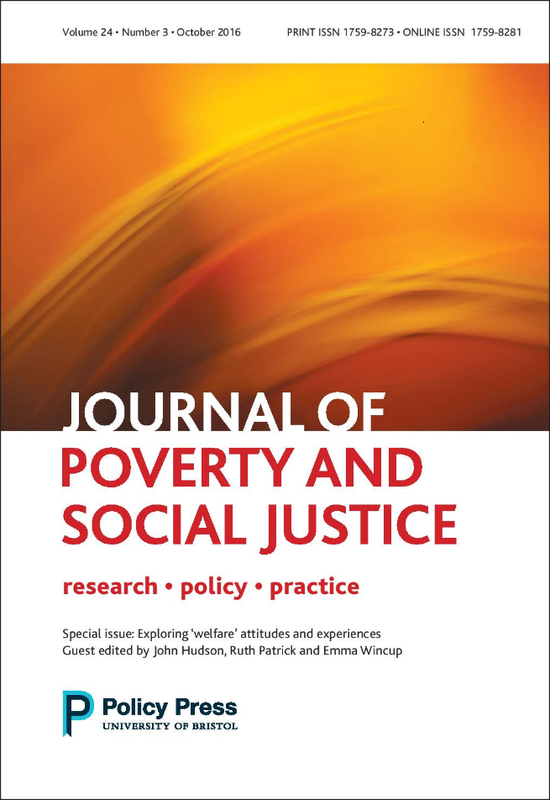 You can read the ‘Disability and Conditional Social Security Benefits’ special issue of the Journal of Poverty and Social Justice here. • Follow @JPSJ_Journal on Twitter.